Hi, I am Jack King. In 1978, I began learning the floor covering business. That was 38 years ago, but from day one I enjoyed a sense of pride in my work from knowing that the quality I created would be seen and enjoyed for many years to come. My mission statement and photo gallery helps to demonstrate my commitment to quality. Then in 1984 I started my own business, which has grown to a wonderful team of flooring specialists with over 80 years of combined experience! I know it is my name and my reputation on the line with every job and the work we do reflects directly on me. We have done thousands of flooring jobs all over the Valley and this commitment to quality has never wavered. From the first project I did over 30 years ago, to every project we do now, clients continue to refer us for our honesty, workmanship, and their recognition of a job well done. Most homeowners value fine craftsmanship and know the importance flooring adds to creating a beautiful home. When it comes to removing floor coverings, most people do not know it can be done Dust Free. I took it upon myself to devote countless hours of design and testing, as well as a significant financial investment, in developing and perfecting the equipment and processes needed to provide both my clients and employees with a solution that eliminates the health hazards of exposure to silica dust. The proprietary patented DustRam® System Equipment is so far superior to any other products currently on the market, we feel confident that customer-driven demand for Dust Free flooring removal is going to transform the industry to where it should be in the 21st century. If you have asthma, allergies, any respiratory condition, or if you have experienced traditional flooring removal processes that left your home full of dust for months or longer, please call us today! 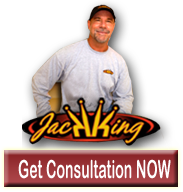 If you would like an honest, knowledgeable opinion before making the decision to replace your current flooring, I would be pleased to provide consultation and accurate measurements for a nominal fee, which can then be applied to your project. Please also visit our Business Model page to provide a deeper glimpse into how we have focused our efforts on dust free tile removal. We truly appreciate your interest in Arizona Home Floors, hope you enjoyed our videos, and thank you for visiting our website!